What size is your work bag? Regardless of whether you carry an oversized tote to work or can get away with a petite handbag; if you’re anything like me, I have to be strict with myself when it comes to my make-up bag otherwise I’m certain to be carrying around the whole of Sephora. That’s why I have compiled my list of 5 beauty products you need in your work bag in a bid to cut down the amount of time spent looking through everything and reduce the sheet number of things you’re sure to be carrying on your arm each day. According to Business Insider, the average person spends 90,000 hours in the lifetime working. 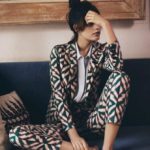 We all want to feel prepared in the event something we hadn’t bargained for crops up; after work drinks, an impromptu meeting with someone important or even just working late. This is certainly why in the past I have decided to take the kitchen sink with me in my bag, “just in case”. It goes without saying that one of the 5 essential beauty products you need in your work bag is a decent hand cream. This hand cream from Clarins is my current favourite, it’s quite thick and offers protection from harmful environmental influences as well as keeping your skin moisturised. Air conditioning, frequent hand-washing, handling chemicals and cold weather is the main source of damage to our hands. With this cold weather I’m certainly making more of an effort this Winter to look after them better. This product is an absolute essential for your work handbag. If you are partial to a scented candle at home, you’ll know that Diptique candles are up there with the best. If you haven’t tried them out, I suggest you head over and take a look for yourself. 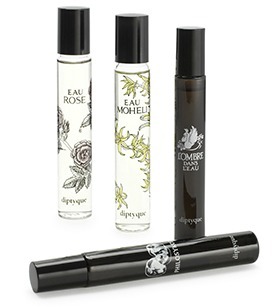 I love to wear their gorgeous scents too and these roll-ons are so easy to carry around and are much better than lugging around a huge glass bottle of perfume in your bag. This water spray has so many uses you’ll struggle to find a reason not to have it in your work bag. It helps to set make-up and to refresh your skin during the day and is especially good after sitting in a stuffy over-heated or air-conditioned office. Spring water sprays are a trick French women have been using on their skin for generations, helping them to achieve soft beautiful skin. The key ingredient is silica which can help improve your skins elasticity. This lip liner is my best-kept secret, it has no pigment and is completely translucent but has an anti-ageing formula to help fill in any lines and to stop your lip colour bleeding. 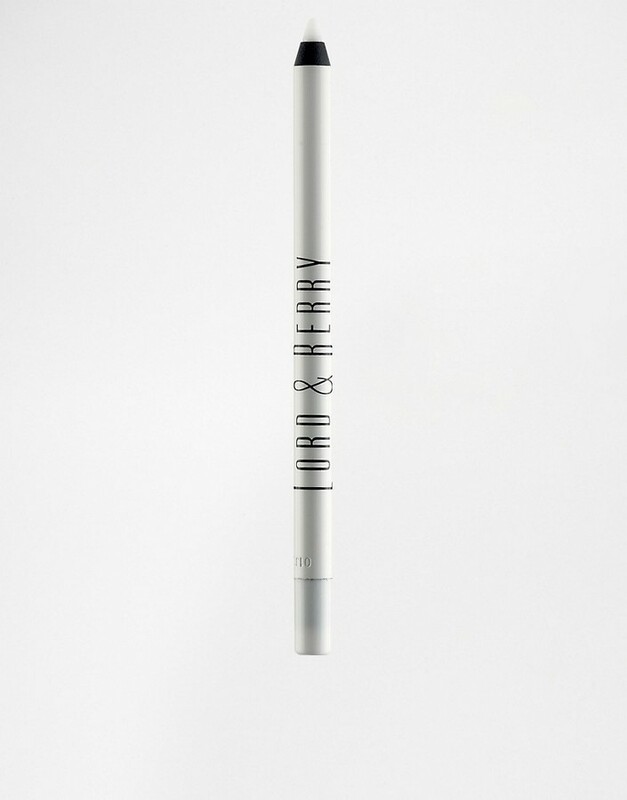 This lip liner from Lord and Berry is enriched with a cocktail of smoothing and regenerative ingredients to replenish much-needed moisture to leave lips soft and hydrated. A good mascara that will last is my final product in my 5 beauty products you need in your work bag list. For work it’s advisable to use a light-weight formula that won’t clog or look too heavy. This one from MAC has a two-in-one brush that allows you to decide how heavy the mascara is applied so it’s perfect to apply with the voluminous side if you’re going out for work drinks! Do you take beauty products to work with you? What do you absolutely have to have with you? Is there anything you’d add to this list? Let me know in the comments!